When a customer places an order for products or services, the provider issues a sales order form to the customer. It is by definition, a document which is generated by the seller to stipulate the sale of certain goods or services to a customer. The document is validation and proof of sale. Different kinds of businesses utilize different types of Order Forms. In the following compilation, we shed light on the popular few. 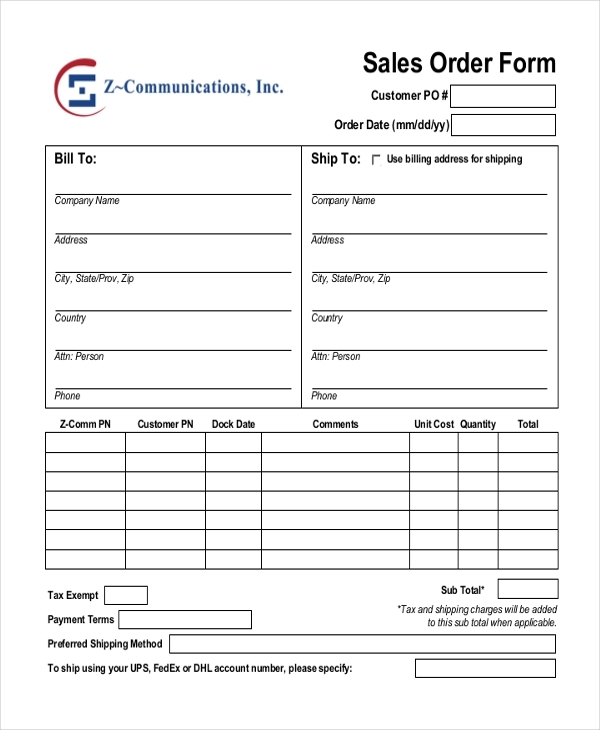 A sales order request form is a document which is stated the intention of the sale of goods or services to a customer. The form contains a description of the goods, quantity, price, total price, date of sale, the signature of the vendor. If a user wants to insert his or her own sales data into a sales order form, use of a blank sales order template is advised and recommended. The blank sales order form comes wired with customizable elements so a user can easily include new fields or replace existing ones. 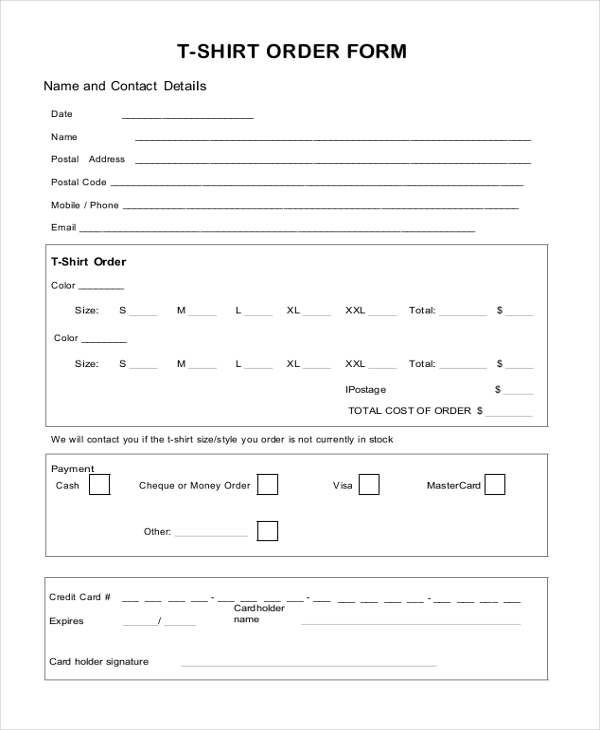 A customer sales order form template is similar to any other sales order template. The supplier company needs to insert customer information, shipping information, description of goods, quantity, price, sub-total, grand total, date and time of delivery, date and time order was created and mode of payment. 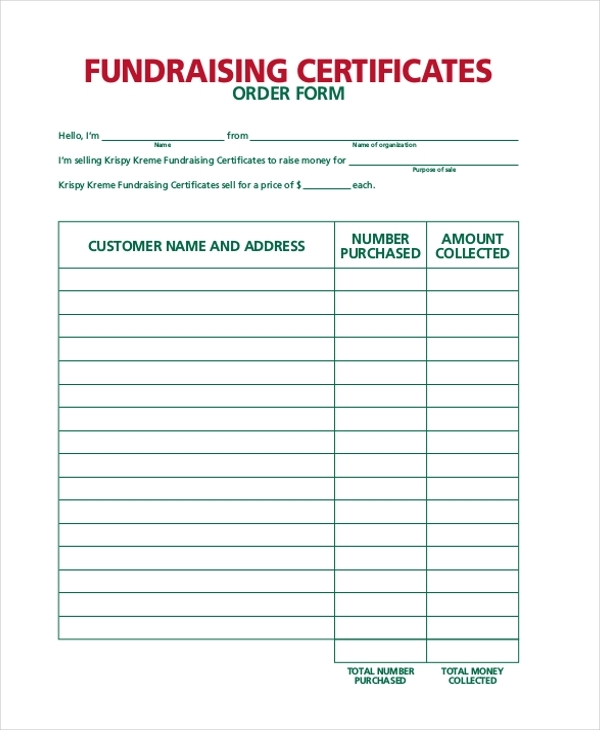 In case a client wants to organize a fundraising event and wants to help a third-party organization, the former can place an order for the goods with the help of a fundraiser sales order form. The name of the client and his details, along with the order specifics have to be mentioned in an accurate manner is a table. 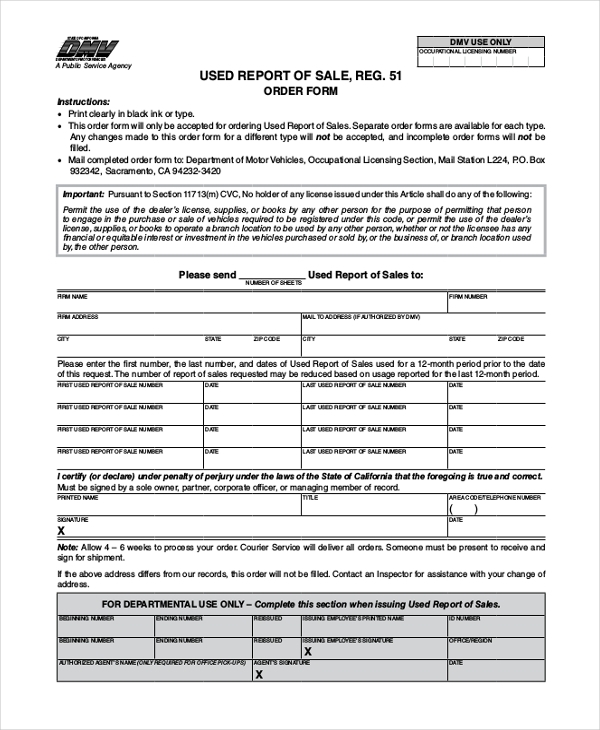 A boat sales order form is a useful tool for buyers and sellers who want to enter into a deal of buy-and-sale of a vessel. The specifics about the vessel – its primary information – followed by the buyer’s details and then the seller’s information needs to be furnished accurately in the form. 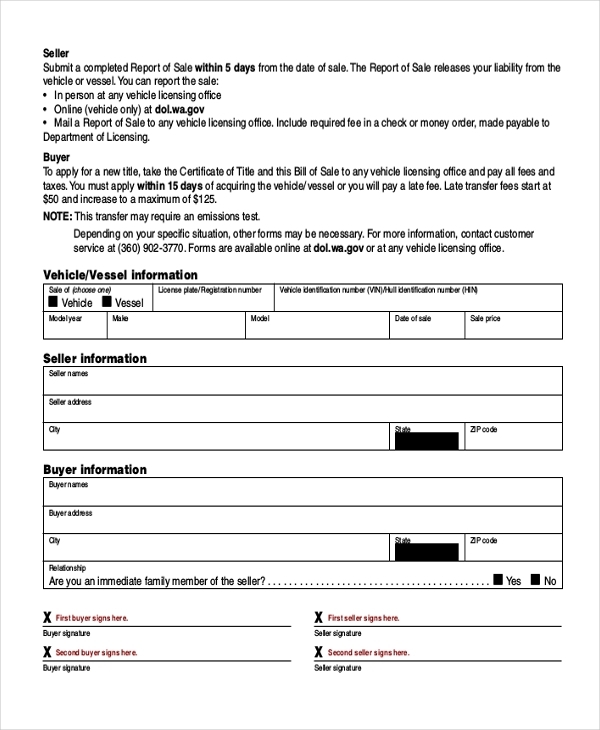 Car sales order form is a document which is used in scenarios when a customer has finalized to buy a particular car vehicle. The name of the purchaser, followed by different details of the car has to be specified with precision. Such a form can be also used in cases of sale of used cards. 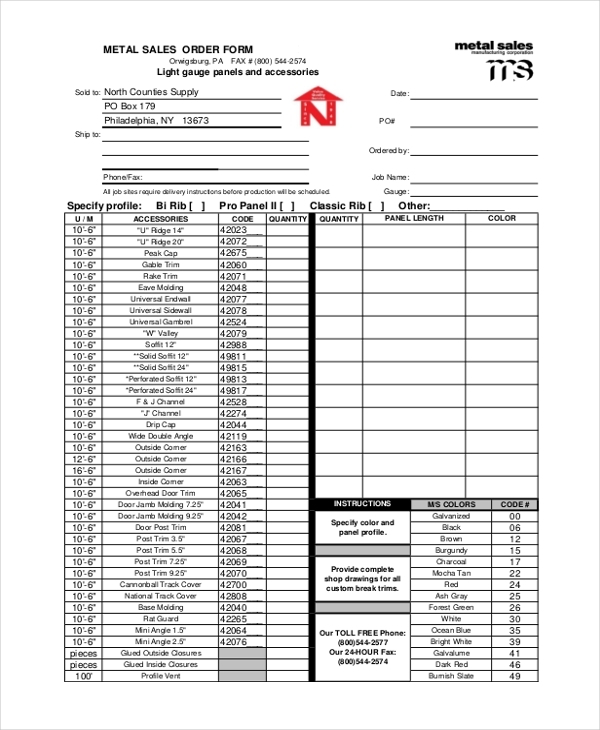 A metal sales order form is useful for companies that manufacture and sell or even just specialize in the sale of metals. If and when a client places an order for metallic materials, a sale order form needs to be prepared. The form must have the client’s details – name, contact number, date – followed by the description, quantity and price of the metals ordered. 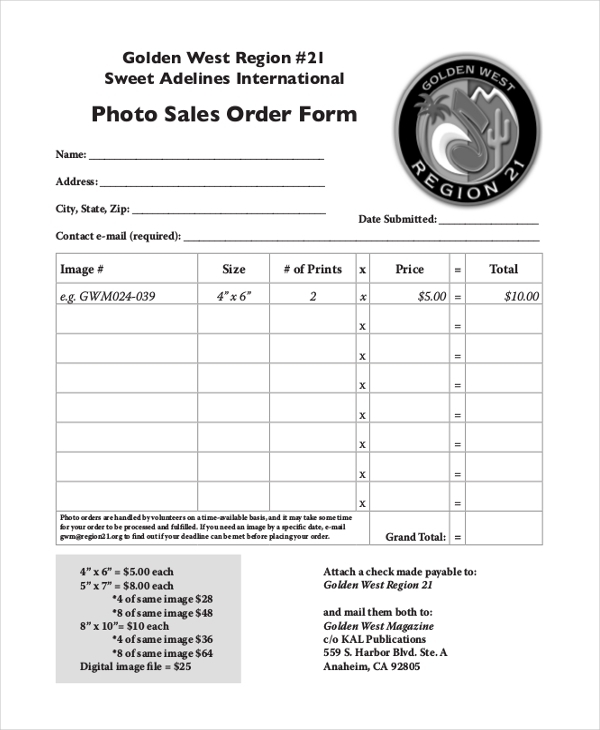 A photo sales form is utilized by photographers and photo studios when initiating a sale of photographs. The form must duly be populated with details of the customer, photographs purchased, size, the number of prints, price, and overall total. If you’re in the business of selling readymade garments you’d be well-knowing of the fact that t-shirt sales order forms are used by wholesalers that sell t-shirts in bulk to clients and customers. 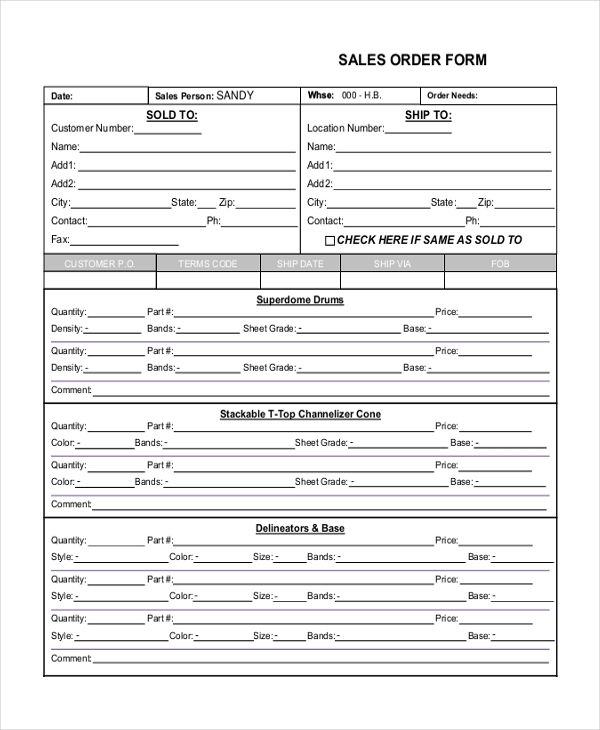 Sales order forms are a serious necessity in every business. So long as a business is involved in buy and sell of products and services, usage of sales order forms is recommended. A sales order form is important because by populating such a form after finalization and decision of purchase, a sales order form automatically becomes a confirmation of purchase. Moreover, it is a document which is recorded and utilized internally in an organization. It is a tell-tale sign. You may also see Appraisal Order Forms. Sales order forms are value for two big reasons. It is a document which completely records customer information and details of what the customer wants to buy. This is important information which can be cross-checked and reviewed by the sales staff during the time when the products are being readied. Additional information is also included occasionally. For example, the amount of product delivered as compared to the amount of product desired. 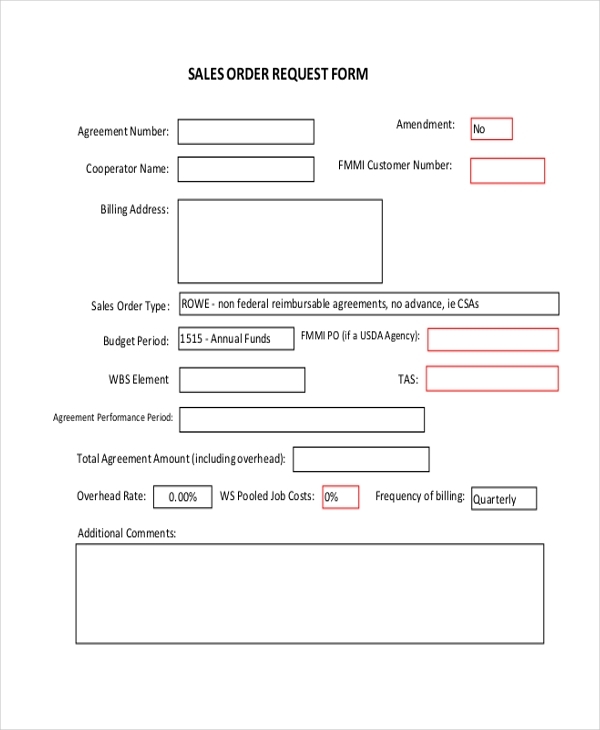 If and when the sales team wants to review the order, a sales order form is the most reliable document. Contrary to popular belief that sales order form and sales invoice form are the same, the fact is that it is untrue. A sales order is prompted by the customer who is selecting the goods to purchase, whereas a sales invoice is a document is used by vendors and suppliers to bill the customer for the products or services purchased. A sales invoice is not generated unless a sales order form is generated and fulfilled. You can also see Product Order Forms. Sales order forms are necessary and vital for the smooth functioning of any business. Moreover, the importance grows multifold because a sales order form is the stepping stone of purchase and business transaction between a customer/client and a vendor/supplier. The USP is that the formats of sales order forms are easily gettable and customizable on the Internet.